On the right bank of the Garonne river, this former industrial district benefits from a deep rehabilitation and reveals unexpected prospects. 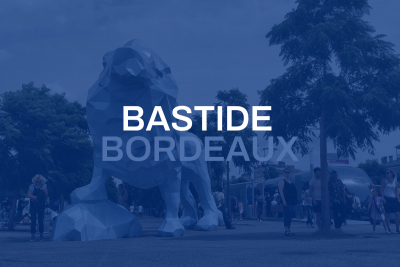 Formerly the industrial center of Bordeaux, the district of La Bastide has found a new economic revival thanks to recent developments. Across the river you will discover the former station train station of Orleans which now hosts a a large cinema. Also nearby is the European University of Management and the Botanical Garden which makes for great Sunday picnics. Not to mention the Darwin Ecosystem which has made it’s place on the right bank. The area is well served by the Tram Line A and has many different types of commerce on the Place Stalingrad.